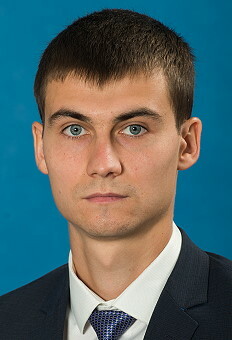 Education: Received a bachelor degree on September 27, 2013 from the Kharkov University of Air Force "Ivan Kozhedub" (Ukraine) in "Military Administration (Air Force), Management of Aviation Units", "Flight Operation and Combat Use of Aircraft". Experience: From September 2013 to March 2014 he served as pilot for the military unit A4515, and then until December 2014 for the military unit 80159, both in Sevastopol, the Autonomous Republic of Crimea; from December 2014 to July 2015 he served as pilot for the military unit 75391, Milerevo, Rostov region; since July 2015 he was pilot fort he military unit 75387, in the rank of a Senior Lieutenant, in Primorsko-Akhtarsk, Krasnodar Territory. Last update on August 16, 2018.